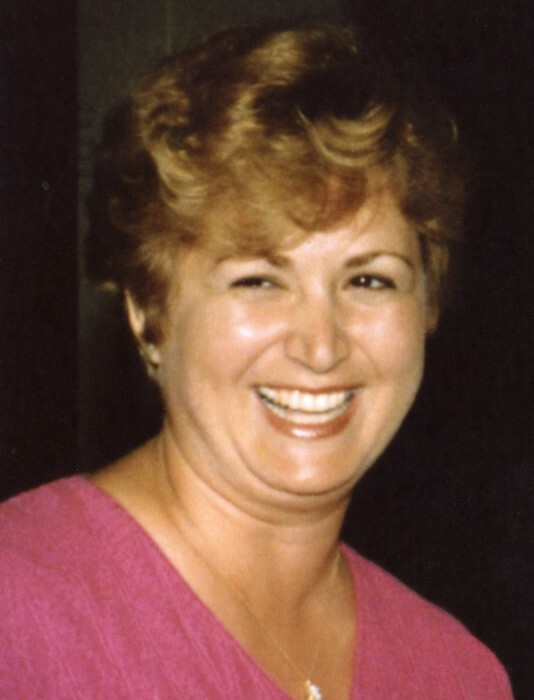 Irene Dadourian Soumakian, 71, of Huntington Beach, CA passed away peacefully following a short illness to her eternal rest into the loving hands of the Lord, on March 24, 2019. Irene is survived by her loving husband of 48 years, Antoine (Tony), son Richard, daughter Jennifer, grandson Evan, son-in-law Chris Abramson, brother Dr. Berge J. Dadourian, sisters-in-law Lucy Dadourian, Jeanette and Patty Soumakian, and brother-in-law Dr. Gabe Soumakian. Irene was preceded in death by her grandparents Ghazar and Prapion Dadourian and Minas and Arusi Alagiagian, her parents Jack (Hagop) and Margaret Dadourian, and aunts Maria Sweida and Flora Manavian. Following in the footsteps of her parents, Irene was passionate about higher education. She pursued a B.A. in Fine Arts (UCLA,1975), an M.S. in Education (Mt. St. Mary’s, 1976), and additional professional credentials. Irene devoted her life to education, sometimes juggling family and studies Irene worked as a teacher, counselor, assistant principal and principal in public and private schools throughout Los Angeles and Orange Counties. Irene and Tony first met in a youth group at Our Lady Queen Armenian Catholic Church in 1968. Tony recalls telling Irene, “I know you are the girl I am going to marry!” After finishing school, they were engaged by a priest in the Armenian tradition. On June 20, 1970, Irene and Tony married in their church in Los Angeles CA. They were blessed with their son in 1973, and their daughter in 1977. Irene was a dedicated mother. She treasured her children and embraced every moment with them when she was not traveling with Tony, going to church or the theater, visiting family and friends, writing short stories, or volunteering. She was passionate about her philanthropic work with her local church and other charities, serving the poor, homeless and pregnant women. She especially loved her role as Nonna to her grandchild, Evan, born in 2007. Some of her interests and hobbies included reading, writing, and playing Scrabble. She also loved sharing her expertise on Armenian and Italian cooking with family and friends. Irene’s Armenian heritage was important to her. Many of her relatives had suffered, died, or were separated after fleeing Turkey during the Armenian Genocide of the early 20th century. She had shared with Tony and the family an encounter that changed the whole course of their lives: Irene and her dad were shopping in a market in Rome. It was 1965- just prior to her leaving for California. She asked her dad if he knew whatever happened to her grandma Prapion (named for "Butterfly"), whom she has never met. A stranger standing behind them spoke up and said she knew a woman in Istanbul, Turkey named "Prapion". Irene had to leave for the U.S. but her father soon after traveled to Istanbul to and was united with his mother after fifty years of separation. Irene did not get to meet her grandma here on earth prior to her passing, but with the Lord's intervention they are now both with each other, and her parents in heaven. Irene also had a special relationship with her grandfather, Minas. She had shared, “From the age of six, I learned to appreciate and respect this person who always had a twinkle in his eyes and an incredible sense of humor. Until you heard him share his past, you would have never known that he had lived a life full of pain and sorrow. He was forced to witness the murder of his whole family by the Turks. He knew the horrors of persecution and had to leave his native land of Urfa, Turkey to survive. His story and the stories of all Armenians need to be told. People forget quickly. I believe it is the responsibility of the survivors to remember the past; to recount it so that future generations will learn from that past and prevent its recurrence. His only source of strength was his faith in God and his desire to live a meaningful life that would make up for all the atrocities that he had suffered and witnessed. Living on a diet of insects and dates, like the apostle John, he finally made it on foot to Tripoli, Libya, where he met and married Arusi, my grandmother.” They had four daughters - Maria, Flora, Rosanna, and Margaret. On December 12, 1946 Margaret (Irene’s mother) in turn married Hagop, and on February 29, 1948, they had their first child Irene. Her brother, Berge, was born on Feb 26, 1954. Irene, a woman of great faith, was able to endure hardship because she knew that God is always faithful to His promise and that, no matter what happens, God triumphs. She brought her faith with her wherever she traveled, helping her to cope with loss and pain, but also to celebrate life’s joys. Revelations 21:4 tells us that pain and death will be a thing of the past. Someday we will meet Irene to clasp her hand in the better land, never to part again. In lieu of flowers, donations may be made to The American Cancer Society in Irene’s memory.